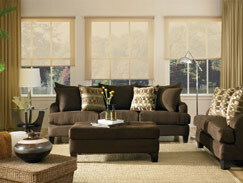 We Bring the Best Window Coverings Home to You. Today's Window Fashions is a national shop at home, custom window covering company with quality name brands at discount prices. When you call we bring the store to you! Shop in the convenience of your own home where you can truly see the way your window coverings will actually appear when installed on your windows. We will guide you through the many styles shapes and colors until you've reached a winning solution. When your products arrive, we will call you for a convenient installation appointment and arrive promptly at the pre arranged time. Our experienced staff will meticulously install each product and remove all debris and packaging upon departure. We will then explain how you can care for your products and use them safely. You can feel comfortable knowing that you'll get the best quality, service and price that is available today! Serving San Diego, Fallbrook, Temecula, Fallbrook, Bonsall, Valley Center, Oceanside, Vista, San Marcos, Escondido, Rainbow & Pauma Valley!